All games are optimized to work with the Amazon Fire TV game controller (sold separately from the set-top box). 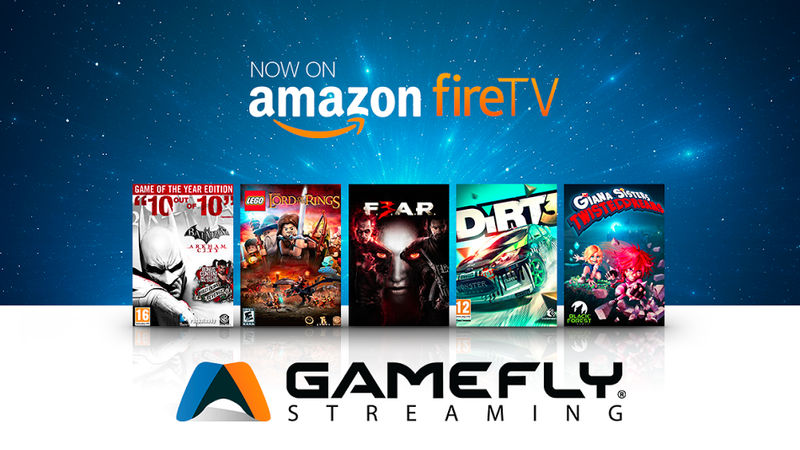 The new streaming service is made possible through GameFly’s acquisition of Israel-based Playcast Media, a cloud gaming service. Despite getting into the movie rental market last year, Hodess says he has no plans for the streaming service to offer movies and TV content, and will instead focus on the game market to evaluate its offering based on popular and user-requested titles. At this time, no special pricing model is available for current GameFly customers, but Hodess says the company is working to provide users special incentives to try the new service. If your Amazon Fire TV game controller has been sitting around collecting dust, now you’ll have some new content to test out.